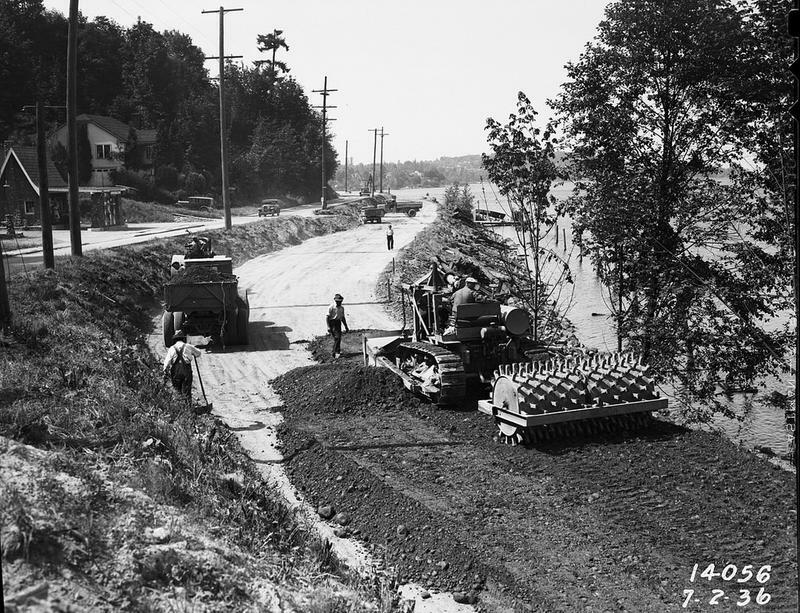 Established in 1851, Seattle started out as a lumber town, but it quickly became popular in coal production and fishing, and as a shipping hub for the West Coast. Soon, the city began to boom, and the population grow. 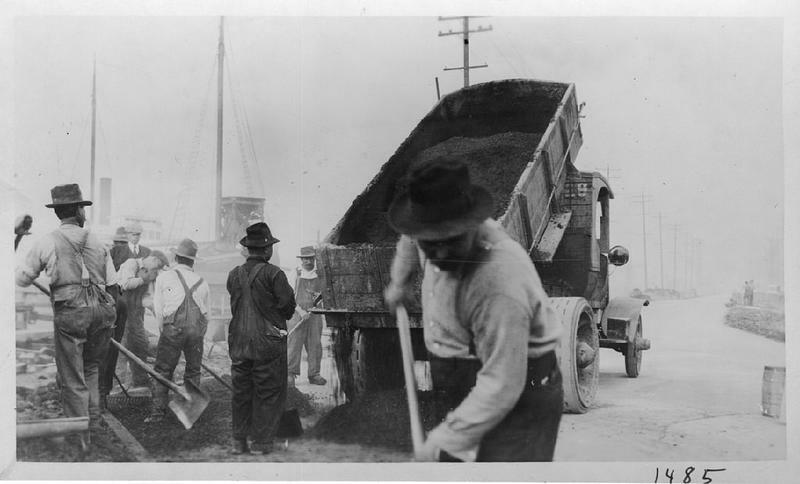 According to the city archives, in the first half of 1889, Seattle was gaining at least 1,000 new residents per month, with 500 buildings under construction. A city was beginning to come to life. 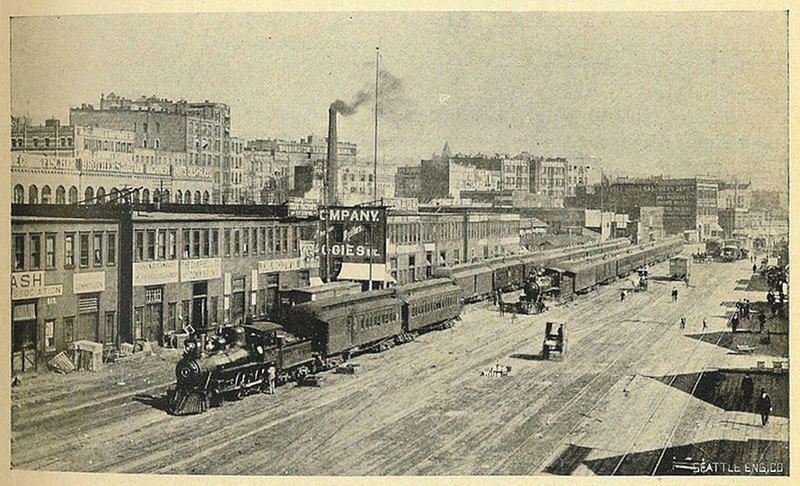 Railroad Avenue (now Alaskan Way) along the downtown Seattle waterfront, circa 1900. 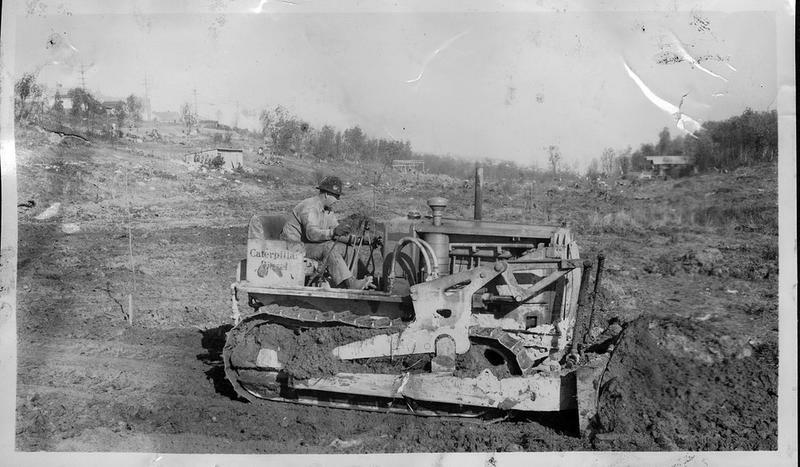 Clearing land at Camp Long, 1938. 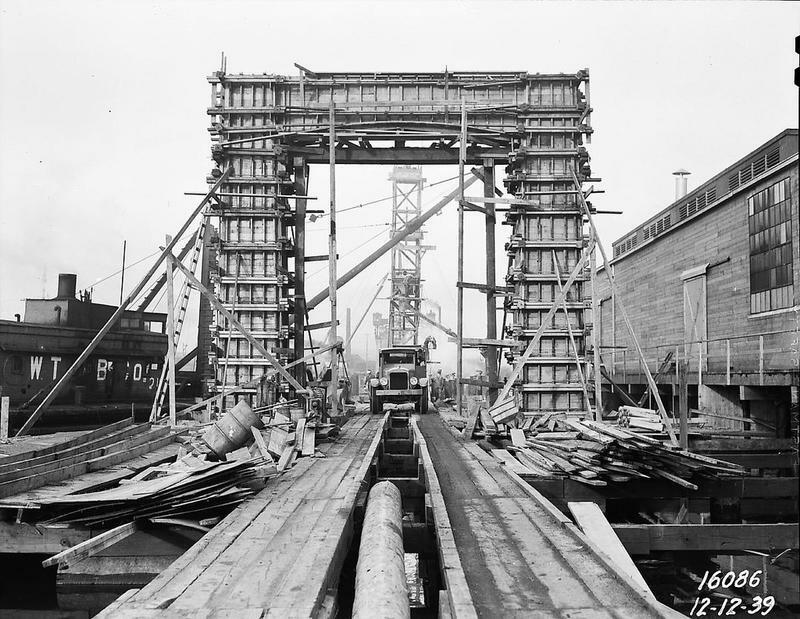 Building the Ballard bridge, 1939. As the city swelled, so too did the need for a highway system and bridges to navigate the many bodies of water. 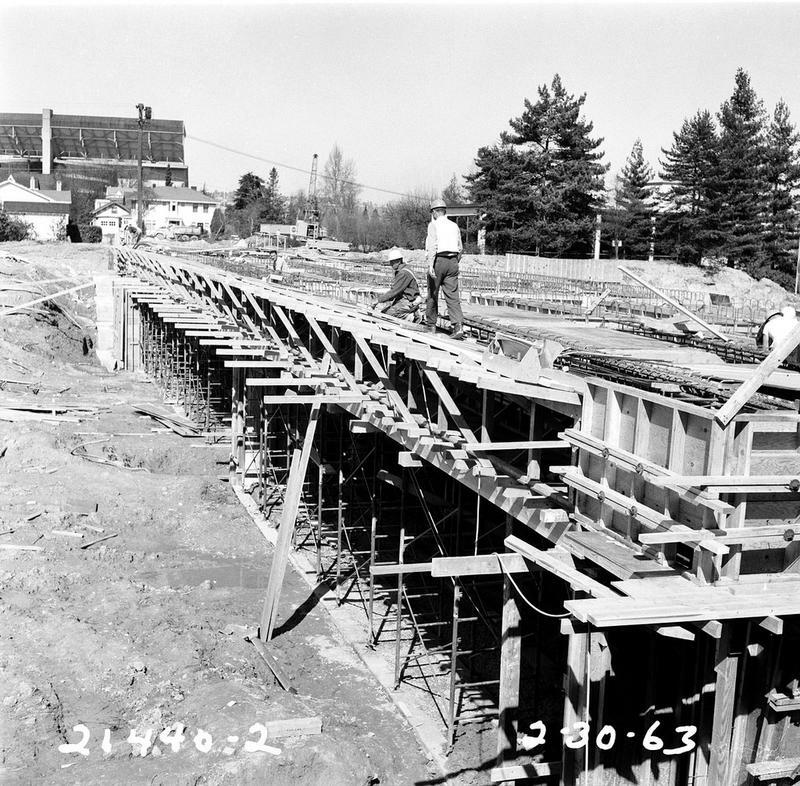 Interstate 5 under construction in the background, 1961. 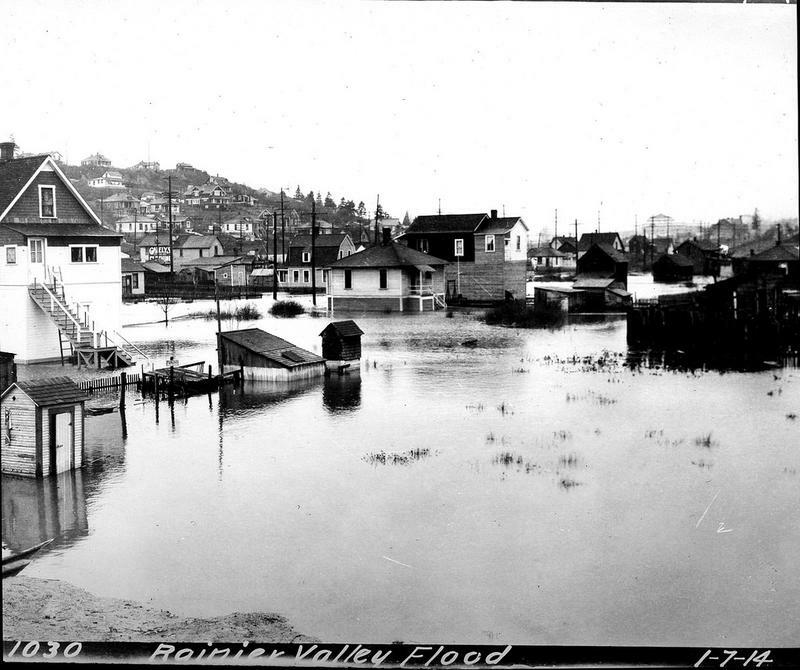 Yes, Seattle was a city on the rise; however, it would endure its fair share of natural disasters and tragedies along the way. 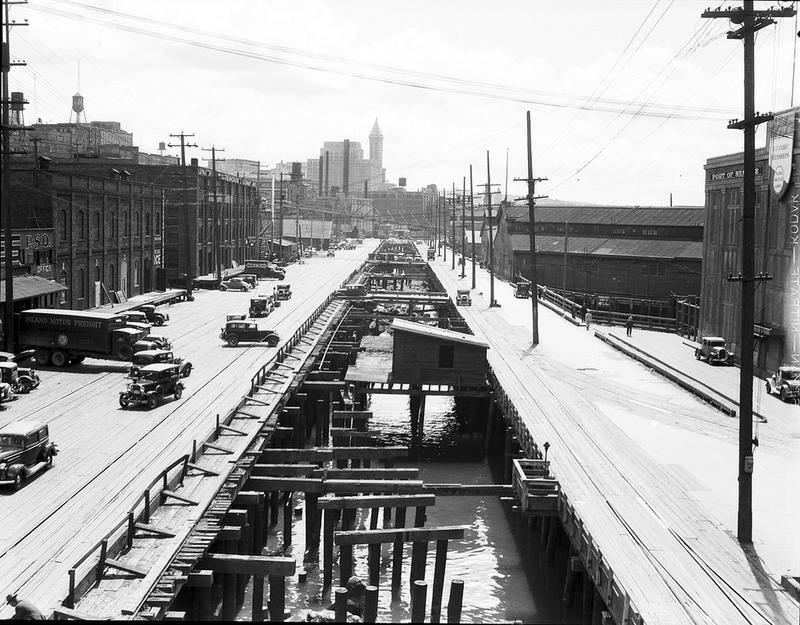 Being primarily a lumber town, many of Seattle’s buildings were made out of wood. 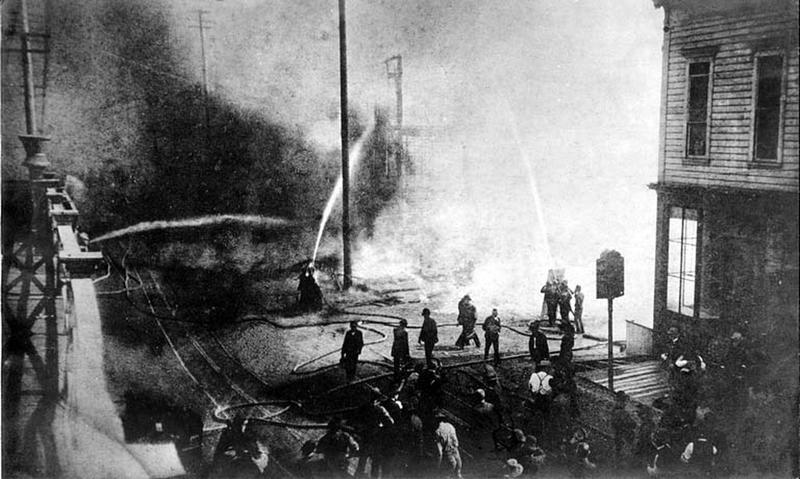 This proved disastrous in 1889, when an assistant in a woodworking shop accidentally sparked what would become known as The Great Seattle Fire. 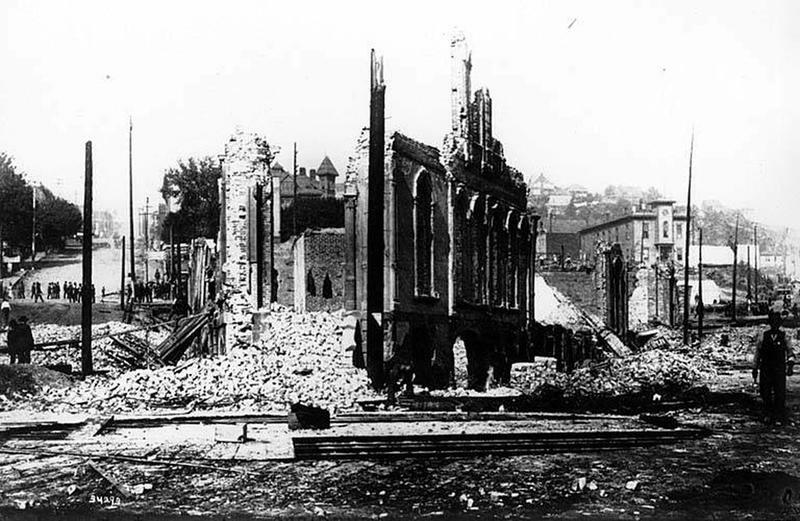 Start of the Great Seattle Fire of June 6, 1889. 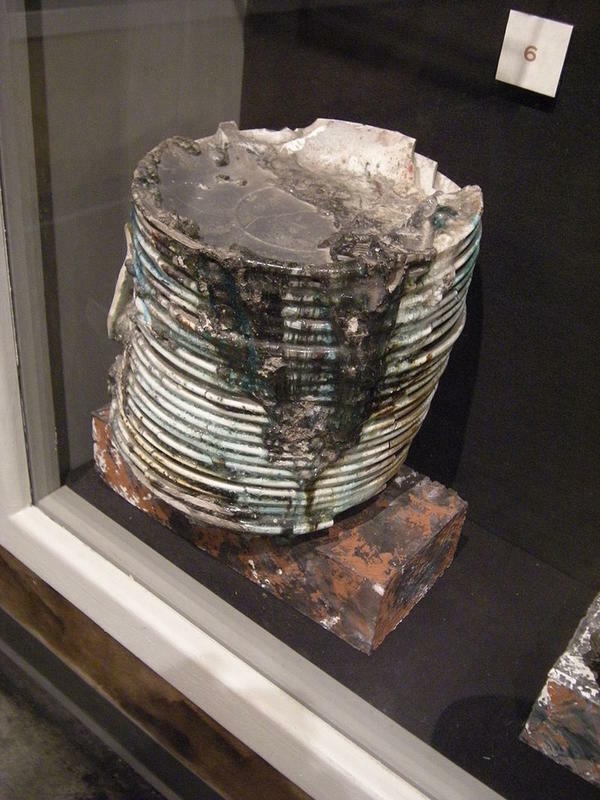 Plates damaged in the Great Seattle Fire of 1889. 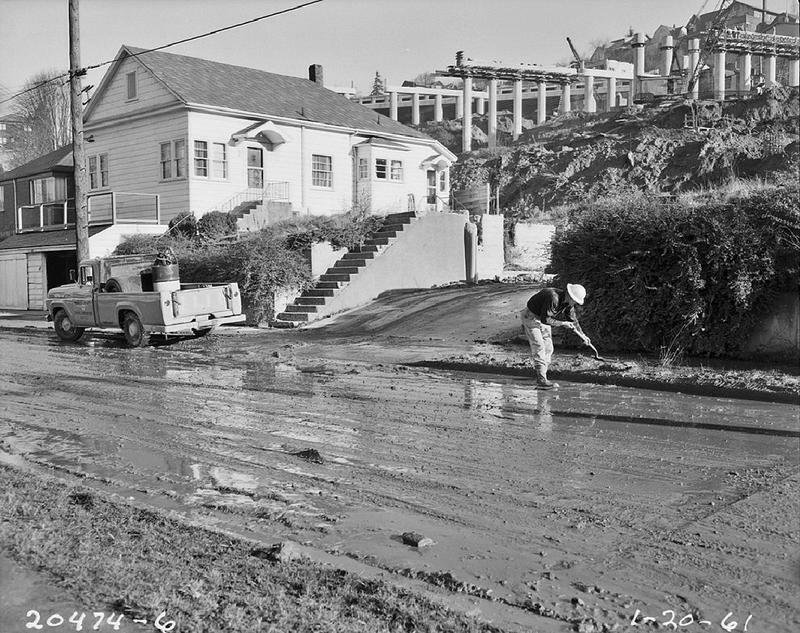 House damaged in Perkins Lane landslide, 1954. 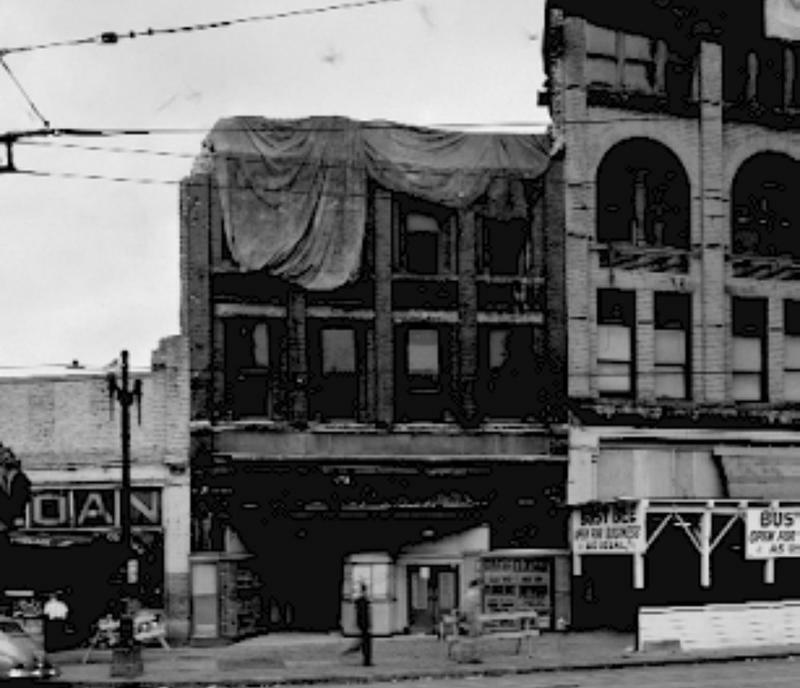 Earthquake damage in Pioneer Square, 1949. 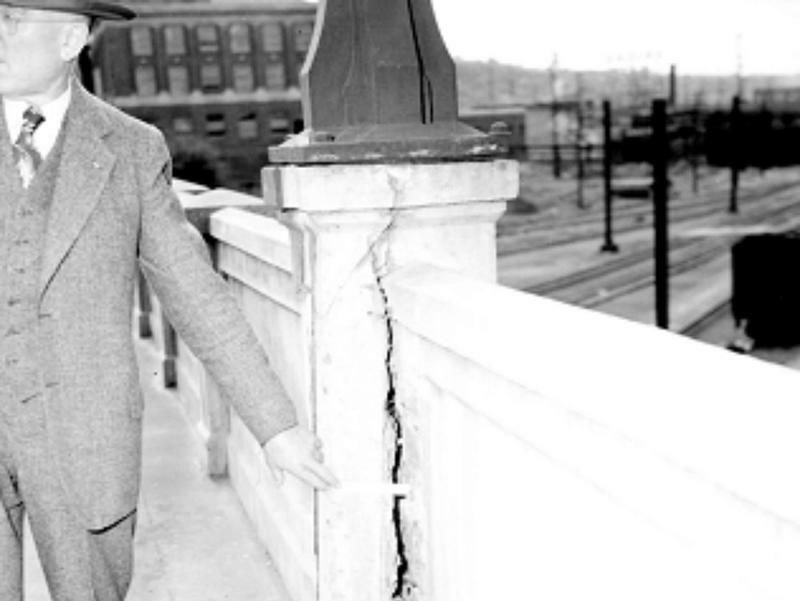 Earthquake damage on bridge, 1949. 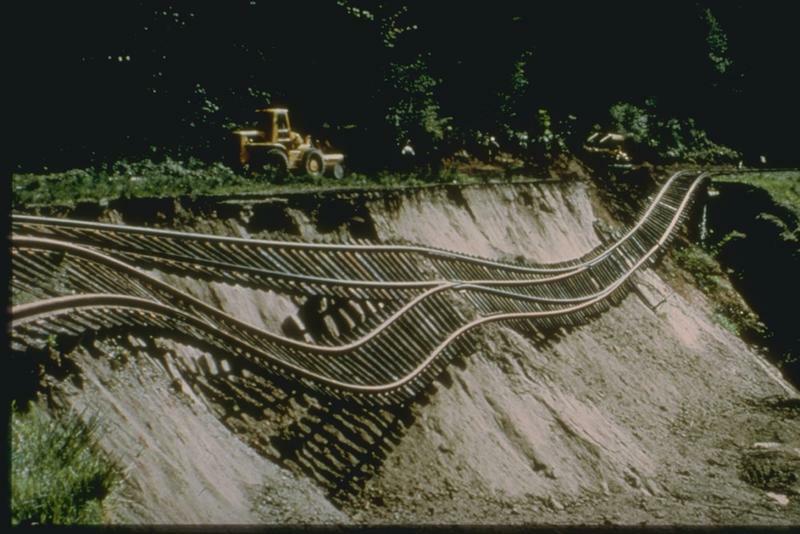 Damage to the Union Pacific Railway 1965 quake.